I ended up with a Business Gold card when I called Amex regarding an issue with my Amex Platinum card. I had just paid off $13,000 in charges in a month for the many flights and things for our new house here in Japan. This is unusually high balance for me to rack up, but I don’t know if this flagged me for an offer of 75,000 membership points to make $5,000 in purchases in three months. So why not? They let me get a card as a sole proprietor of my business using my SSN as the tax ID. I got the card and completed the offer and got my 75,000 points, but I also learned a lot about this card, and why it’s much better than the Amex Platinum in terms of earning points. You end up getting 2x on the 4 categories you don’t choose. So I ended up choosing 3x for airfare since no other card in my collection even comes close to that. 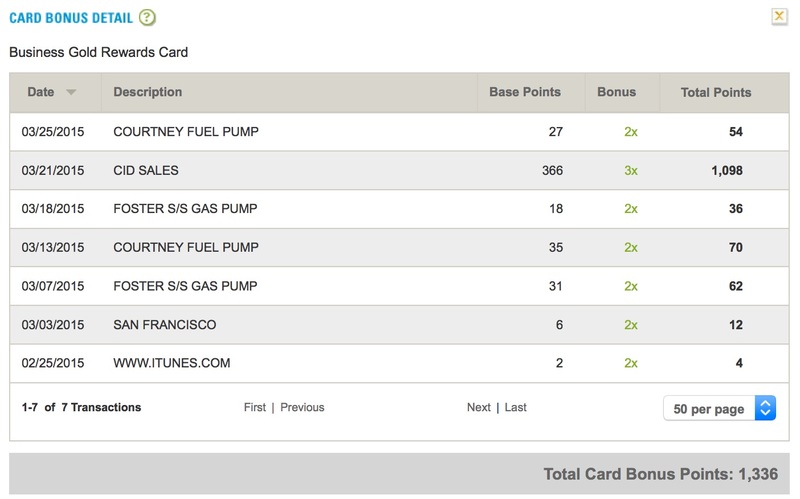 I can get 3x points already on gasoline with my Amex Everyday Preferred when I hit 30 uses. I then use this card to book airfare in USD only. When I book an ANA flight I use the Experience Japan Fare site to make my reservation in USD. It shows up as CID Sales on the statement. This is a very quick way to earn points for future travel as you can transfer Amex points to many frequent flyer programs to earn free flights. For those who don’t churn this would be the most useful card to use in conjunction with the Amex Everyday Preferred. So every dollar spent on base can earn bonus points. This entry was posted in credit cards and tagged American Express, Flights.